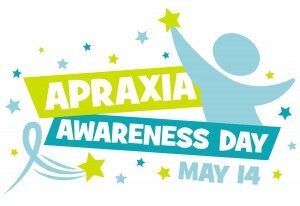 Today is Childhood Apraxia of Speech Awareness Day. This speech disorder is one that has touched our family deeply, so awareness of it is close to my heart. Childhood Apraxia of Speech (CAS) is a developmental disorder in which the brain fails to naturally control the muscles necessary for speech. A child without CAS will develop speech with ease and through a typical process, i.e., certain sounds emerge at certain ages or in a certain progression. For a child with CAS, developing speech is hard work with lots of practice, and certain sounds may come with even more difficulty than others. CAS does not mean that the affected child cannot understand words. Nor does it mean the child is intellectually challenged. It simply means that the motor planning portion of the brain is not functioning effectively to produce speech, and so more work is required for speech to be learned. Our daughter Sophie was diagnosed with this speech disorder shortly after her third birthday. She had no words and was unable to imitate even the simplest of sounds. We lived through three and a half silent years with Sophie before her speech began to slowly and painstakingly emerge. Now she is four years and three months old, and she is well on her way to functional speech. Through the silent years and the process of learning speech, our lives have been changed in many ways. I’ll share just a few of our experiences in hopes that they will help in raising awareness of this disorder that touches the lives of so many families. Apraxia has caused me to reevaluate how I assign value to others. 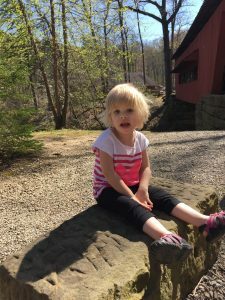 For the first three and a half years of her life, Sophie was unable to express to us anything that was going on inside her mind. So much of who she was remained hidden. But oh, how we loved her. Simply because she was. I came to a point where it didn’t matter to me whether or not she learned to speak. I wanted her to be able to speak because I knew the way it would shape her life not to be able speak. But I never for a moment considered her value as more or less based upon her ability to communicate verbally. I poured into her regardless of what evident gains I might see. For so long, there were literally no gains in speech, but still we poured, still we invested, simply because she was. Our journey through the silent years has helped me to open my heart and look on others as persons of dignity and value, regardless of their differences. I am no longer uncomfortable engaging individuals with differences of any kind. I see them as beautiful creations with undeniable value, simply because they are. In addition, I have been made so much more aware that every person (EVERY PERSON) has a back story that I cannot see. There is no room for judgment. Apraxia has shown me the goodness in others. One of my greatest concerns with having a child with special needs is that Sophie would somehow be considered less by others, that she would be sidelined, less loved. Nothing could be further from the truth in Sophie’s life. Even though she began this school year with essentially no verbal abilities, she made two new best friends almost immediately. They wanted to learn to talk with their hands so that they could communicate with Sophie. More so, her entire class treats her with kindness and is protective of her. Her teacher tells me that Sophie is literally the most popular child in her class. Beyond the school setting, Sophie and our family are so loved and cared for by our family and our church community. 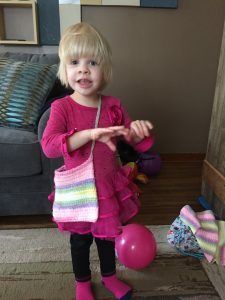 When Sophie was diagnosed with CAS and we knew that we had years of expensive speech therapy ahead of us, our community banded together to raise money to help pay for Sophie’s speech. Tremendous goodness. Although I know many children with CAS suffer at the hands of bullies, God has thus far spared us from these experiences. It is my prayer that in raising awareness of CAS that families will be better equipped to educate their children and help them open their minds to acceptance, regardless of abilities or differences. Apraxia has allowed me to glimpse miracles. When life follows an ordinary course, miracles are harder to see (though I firmly believe they ARE there). When life is full of difficult or even impossible circumstances, success feels miraculous. Each time Sophie gains a new sound or expresses new thoughts and feelings, I feel like I am seeing a miracle. To hear her say “mommy” for the first time, there are no words to describe how that felt. To actually hear her asking for hugs or kisses, or saying that she misses me, it melts my heart every single time. For so long she could not say these things. Given the challenges that apraxia can present, I consider it miraculous that Sophie has gone from no words at all to speaking constantly in short sentences in less than a year. While she still struggles to correctly articulate many sounds, making her barely understandable to some, she is constantly trying to talk and making great gains. Because of her struggles, nothing about Sophie ever feels ordinary, and each moment feels miraculous. Apraxia has challenged me to see obstacles as opportunities. Because of apraxia, we have met many people who have poured into our daughter’s life, and into ours by extension. Because of apraxia, we have seen the generosity of those whom we do life with. Because of apraxia we had the opportunity to learn American Sign Language. Because of apraxia, Sophie is able to attend preschool and work with wonderful teachers and therapists. Because of apraxia, I furthered my pursuit of writing. Because of apraxia, we have banded together as a family. We have faced this challenge head on. We have worked hard. We have fought for our daughter. We have loved fiercely. Because of apraxia, I have been driven deeper into my faith, closer to the God who loves me. Because of apraxia, we are all changed, every one of us who know and love Sophie. This obstacle has become our opportunity to rise above, to fight hard, to grow, to deepen our faith. Apraxia is just one of our challenges in this season of life. I don’t know what your obstacles may be today. I don’t know what challenges you face as a parent, as a person, as a friend, a child, or a spouse. But I do know that if you choose him, God will use those challenges to shape your life. Yes, I want you to be aware of Childhood Apraxia of Speech, but more so, I want you to be aware of a God who loves you and who wants what is best for you and for your family, no matter how big your obstacles seem or how challenging your trials are. We don’t mourn our difficulties with Sophie because they have made us who we are today, and I firmly believe that we are better for it.